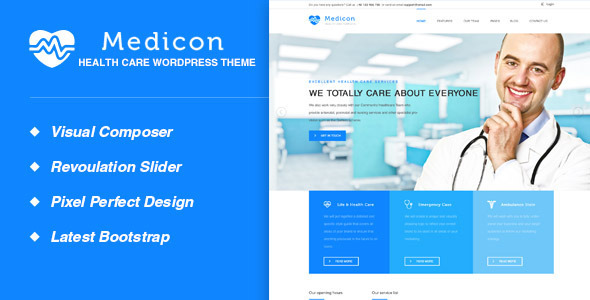 Medicon is a WordPress for Health and Medical websites. 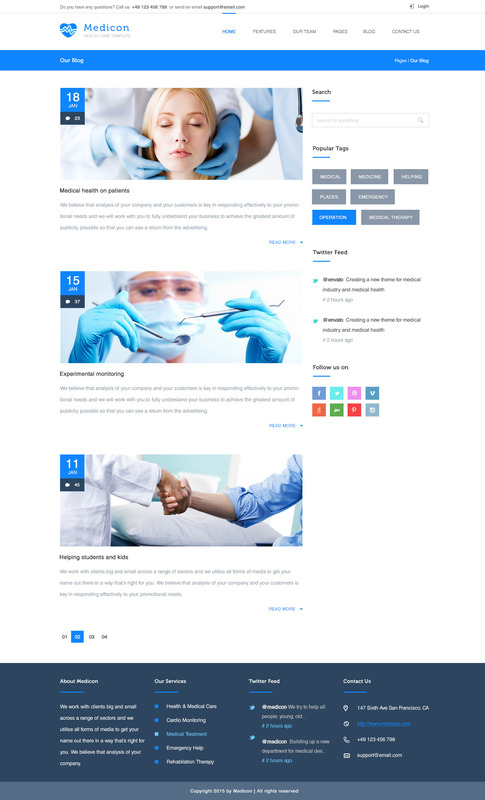 It is a highly suitable theme for doctors, dentists, hospitals, health clinics, surgeons and any type of health or medical organization. 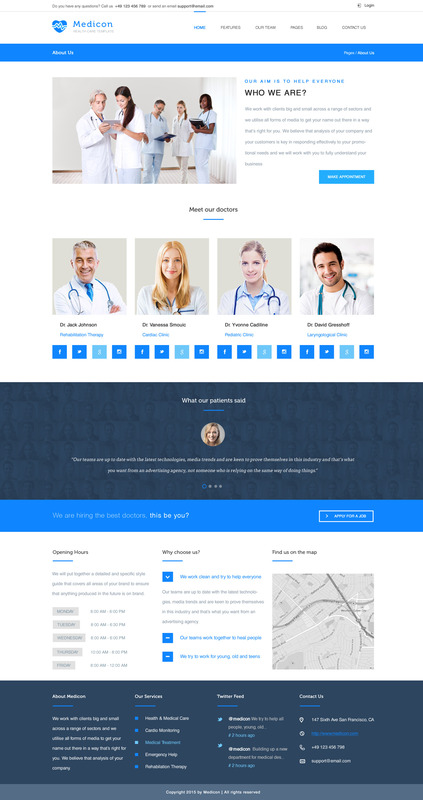 It has purpose oriented design, responsive layout and special features like appointment forms, services, doctors, gallery items, testimonials, FAQs, news and other pages. 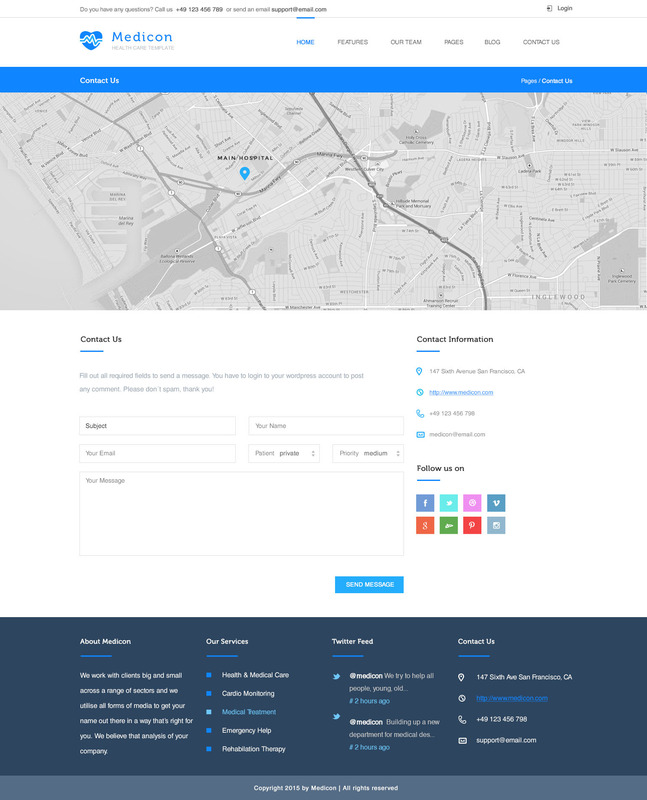 Our theme comes with powerful shortcode feature. User just needs to use the shortcode as his wish.